When I was planning this spring blog tour I knew immediately I wanted to ask Tabitha to be a part of it. Her makes are always bright, colorful and so creative. Her instagram feed always inspires me to not be afraid to stand out and be bold with my makes (not to mention its so colorful and fun and her pics are AMAZING!) And she definitely did not disappoint y’all! Can you even BELIEVE the color blocking magic she worked here!? I knew when Tabitha chose to be on the last day of the blog tour it was going to be the perfect finale! Head to her instagram page more pics and all the details on her Patti Pocket Skirt. 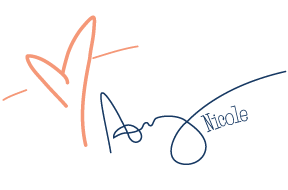 How could I have a spring blog tour and not ask Mel of Handmade by Ditsy Tulip to join? She often sews with florals and all of her makes are so bright and cheery! What I love about her Patti Pocket is that she used a repurposed duvet cover! If you are on youtube, definitely subscribe to her channel (I especially love her video intro & her lovely accent!) Check out her Patti Pocket video and review here. I am so honored that Beth of Sew DIY said yes to joining this blog tour! 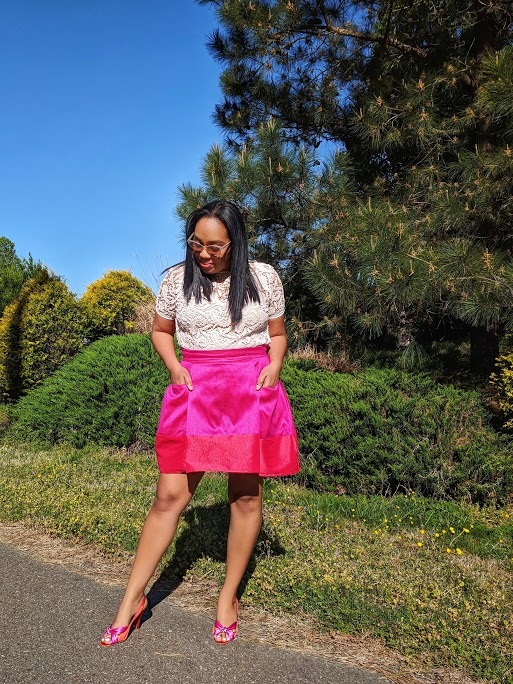 Beth was one of the first sewing bloggers I discovered and I was lucky enough to be a tester of her Lou Box Top (which I love and plan on making more in the near future!) I was also so glad she joined because she is an advocate/the creator of the #sewingtall community on instagram. While my patterns are drafted to petites I love to show how they can be easily adjusted for taller ladies (as Tori and Lizzy also did for the tour!) 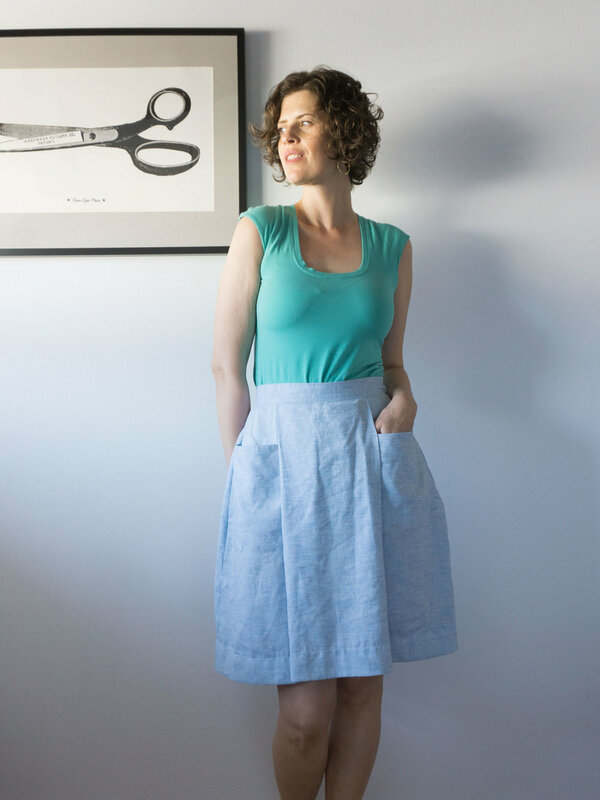 You can find my tutorial for lengthening patterns here, and Beth goes a little more in depth of how she lengthened the Patti Pocket Skirt along with her sweet review over on her blog. Head over and check it out! Tori of the Doing Things Blog has one of those instagram feeds that gives me all the heart eyes. Her handmade wardrobe looks both chic and comfortable. I’m so honored that she wanted to be a part of this blog tour! 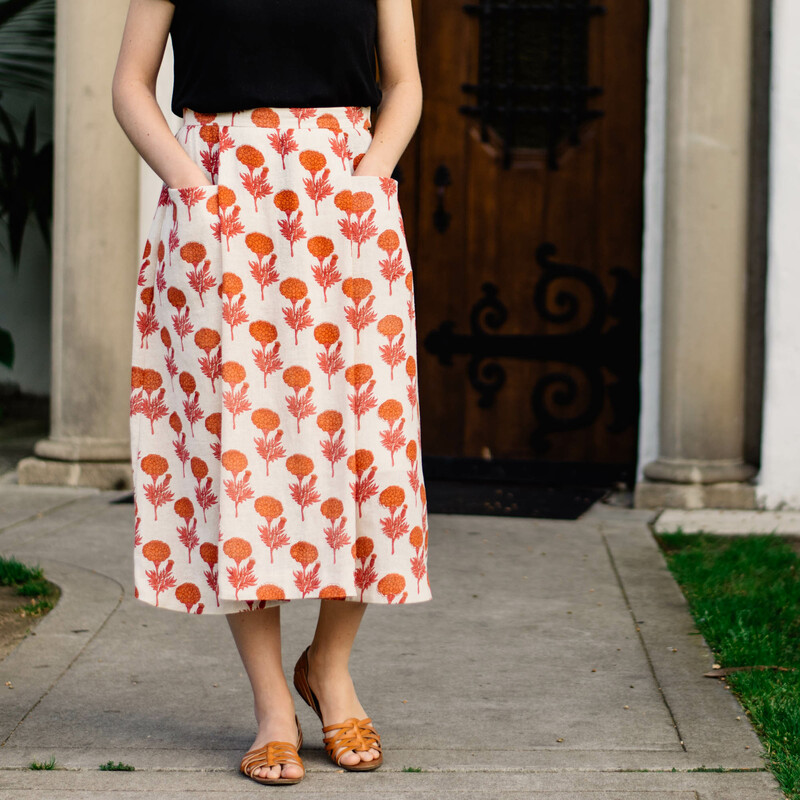 Check out her beautiful floral Patti Pocket Skirt on her blog here. 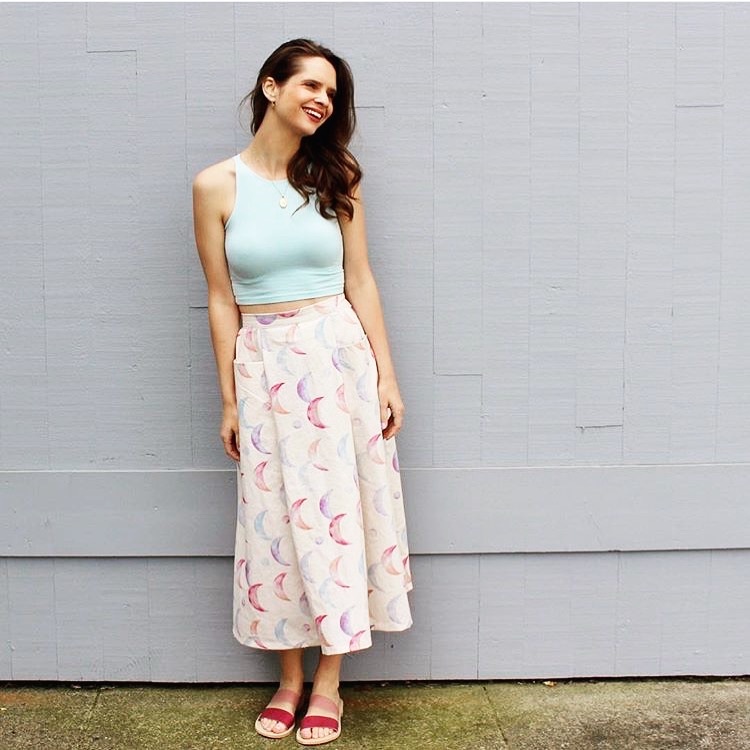 Can you even believe how beautiful this moon print fabric that Lizzy of Handmade by Lizzy used for her Patti Pocket Skirt?! I just love that it matches her handmade sandals. (insert a million heart eyes here) Lizzy was one of my taller blog tour participants and she used my instructions so lengthen her skirt so it fell just right. She does such great bright and colorful makes, and if you aren’t following her already.. you should! Discovering Elizabeth of Pins and Pinot was one of those moments when I wished Texas wasn’t such a big state. 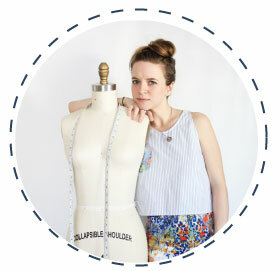 I just know based on her fun handmade wardrobe that if we lived closer we’d be sewing besties! 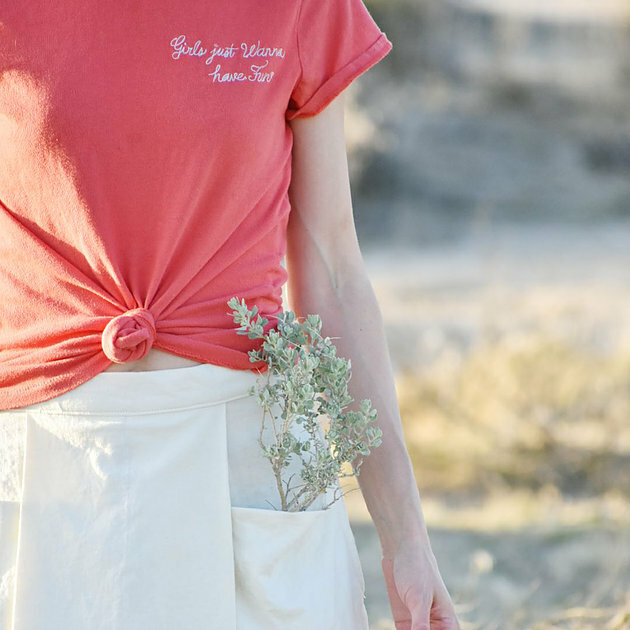 Can you get over this bright floral she used for her Patti Pocket Skirt!? Large scale florals are my absolute fave. Read more about her Patti over on her blog. 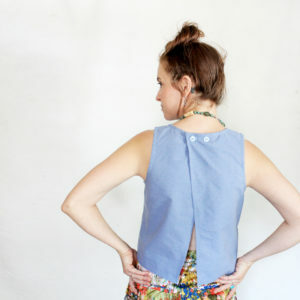 I am such a fan of Allie from Indiesew and her personal style. I feel like she pulls of that casual-chic look very well (a style I can never accomplish myself). I love her monochromatic take on spring – blue is my signature color 😉 – and I believe this is a tencel twill. I have a Patti Pocket in tencel twill that I love! 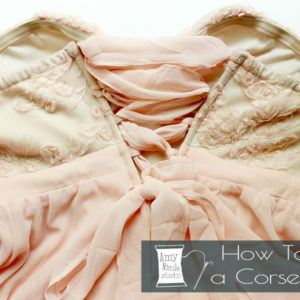 Head to the indiesew blog for more details and inspriation! 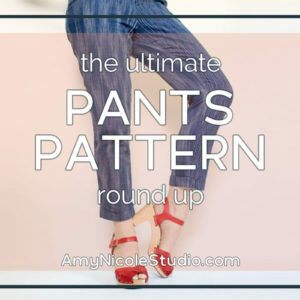 Pro tip – you can purchase the pattern there as well! I’ve been a fan of Sharleen from the Semi-Minimalist blog for a while now. Not only does she share her beautiful makes but she has an underlying focus in sustainability and a minimalistic lifestyle that I love. Not to mention her instagram feed is GORGEOUS (@thesemiminimalist). I was so honored that she said yes to this little blog tour of mine. 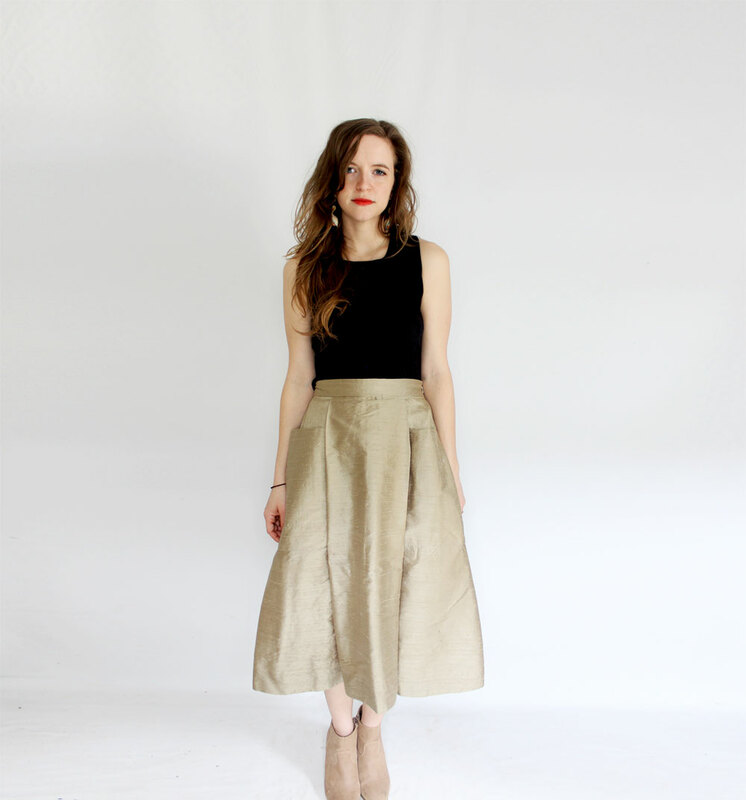 Head over to her blog to read more about her take on the Patti Pocket skirt. 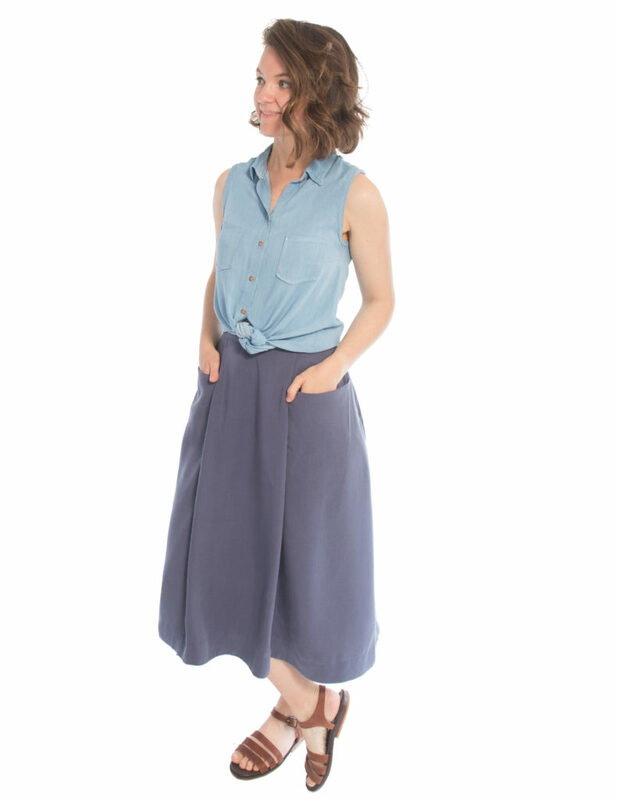 It’s Day 2 of the Patti Pocket Skirt blog tour and Lisa of And Sew On looks absolutely stunning in her short lightweight denim Patti! I love that her take on a spring wardrobe is clean and minimal. Check out her you tube channel for her full Patti review!